The Dean of the LaFetra College of Education at the University of La Verne invites nominations, inquiries and applications for the 12-month administrative position of Associate Dean: Educational Transformation and Faculty Affairs, to begin in Summer 2018. This position runs concurrently with the LaFetra Endowed Chair for Teaching, Education and Excellence. The ideal candidate would qualify for associate professor or professor rank with tenure. This position will be expected to teach one course per semester and maintain an active scholarly agenda. The initial appointment of Associate Dean is three years and is renewable based on performance. Review of applications will begin immediately. The mission of the LaFetra College of Education is to Champion social equity for youth, adults, families and communities by equipping and empowering scholarly, highly skilled practitioners; education advocates; and leaders. The intent is to lead the national conversation on advancing the careers of professionals and scholars who are highly competent advocates for equity and justice. 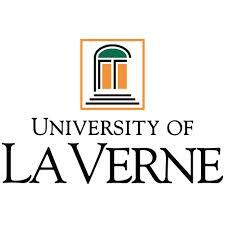 The University of La Verne (ULV) is located in Southern California, just 35 miles east of Los Angeles. ULV is a designated Hispanic Serving Institution with 40% of the student population identifying itself as Hispanic/Latino, 55% students of color, 10% international students, and a large proportion first-generation students. The University has a strong commitment to diversity and places a high priority on creating an environment that supports the growth and success of underrepresented and underserved populations. This position will advance the LaFetra College mission through the development of a diverse, equipped, and energized faculty. The qualified candidate will promote faculty development and efficacy by providing administrative and operational support for faculty recruitment and retention, growth planning and reporting, promotion and tenure, scholarly productivity, cutting edge instructional practices, grant writing, sabbatical planning, and the review and management of faculty data for accuracy. The Associate Dean will also work collaboratively with faculty, staff and constituencies across the university on program evaluation processes and continuous improvement. The Dean of the LaFetra College of Education seeks an individual to lead a growing teacher-scholar enterprise in partnership with a faculty committed to excellence in teaching, scholarship/creative activity and service. Candidates must possess an earned Ph.D./Ed.D with research interests in, but not limited to, the following areas: urban education, education reform, program evaluation, entrepreneurship in education, second language acquisition, curriculum development, and cultural diversity. A history of effective leadership and/or administration experience in a culture of shared governance. Skill in strategic planning and an ability to work collaboratively with faculty and academic leaders to identify the priorities of the College and develop methods for achieving them. Proven capacity to mentor faculty in the areas of scholarly productivity, instructional design, culturally relevant pedagogy, and teaching effectiveness. Experience using technology in educational settings. Commitment to social equity and experience working with culturally and linguistically diverse communities. Special Instructions: Applicants should submit a Curriculum Vita, Samples of Published Research, Leadership Statement, Teaching Evaluations, Course Syllabi, List of 3-5 professional references and three letters of recommendation submitted*. *Letters of Recommendation: You will be asked to provided reference contact information (email address) in the application process. An auto generated message with response link will be sent to the email address provided. Letters of Recommendation are then submitted in confidence to the Search Committee members.